Last week, Michael Best hosted our first Technology and Law Symposium in the hub of innovation, Research Triangle. We brought together some of the brightest innovators, entrepreneurs, researchers, and legal minds to discuss how emerging technology is affecting the public and private industries. Panel discussions covered diverse, but integrated topics like the emerging technologies – blockchain technology, cryptocurrency, CRISPR, 3-D printing and additive manufacturing – as well as launching a start-up and maintaining a balance between innovation and privacy. We kicked off the day with one of my favorite subjects – blockchain technology. 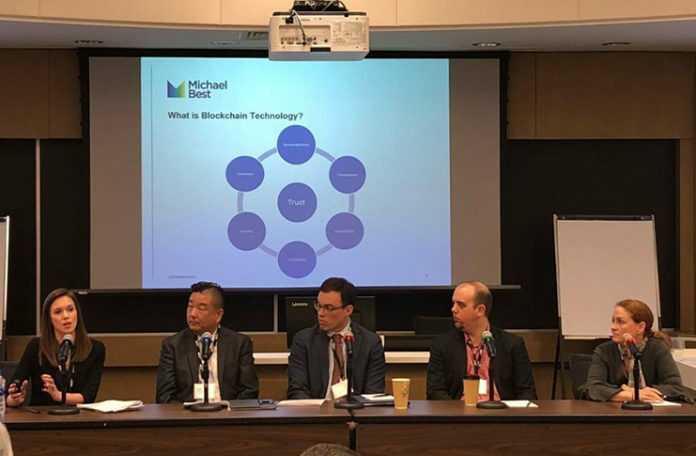 Keith Nakasone of the General Services Administration (GSA), Nina Kilbride of Monax, Alex Linebrink of PassageX, and Lee Reiners of Duke Law’s Global Financial Markets Center and I discussed how and why industries are turning to blockchain technology to transform the way they do business. We also discussed some of the perceived and real challenges to the adoption of blockchain. Let’s take a dive into some of our discussion. What is blockchain? Blockchain technology is a decentralized, distributed, and digital ledger that records transactions chronologically and simultaneously across many computers. These transactions may be goods, data, or money. It is the underlying technology of cryptocurrencies like bitcoin as well as the technology used by numerous industries to empower the way they do business – whether it be in the government does its acquisition process, manufacturers do supply chain management, lawyers do contracting, or the entertainment industry does event ticketing. Blockchain technology is here to stay and we are at the forefront of a great transformation for many industries. Why blockchain? Blockchain is the solution for some of the challenges government and businesses face. By its very design, this technology provides the unique and critical features of transparency, immutability, verifiability, consensus, and security. As a result, blockchain eliminates the need for intermediaries who we traditionally use to verify and confirm ownership of assets. The technology’s great value comes from the trust established and the reduction of inefficiencies, costs and risks. How and why are government and industry looking to blockchain technology? 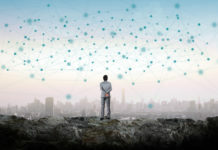 GSA, the largest provider of IT acquisition systems for government, has partnered with United Solutions LLC to launch a pilot that uses open-source blockchain technology and artificial intelligence to re-engineer its acquisition processes. Blockchain empowers GSA’s workforce and makes its systems more efficient and effective, and the use of artificial intelligence on top of the blockchain supercharges it. GSA has adopted the crawl – walk – run approach in launching its blockchain project. This approach allows the agency to integrate blockchain with its existing systems while demonstrating the power and successes from blockchain as it proceeds to full scale. Monax is a leading provider of blockchain for the legal industry with a particular focus on smart contracts. Kilbride, an experienced former commercial lawyer and now software developer, spoke to how Monax’s smart contracts can help lawyers create growth new ways. Using Hyperledger Burrow as its open-source blockchain infrastructure, Monax allows users to create legal agreements and track and monitor every contract and obligation by recording it on the blockchain. Monax has also teamed up with law firms and tech companies to develop the Agreements Network – a no code solution for lawyers. PassageX is an innovative Detroit-based company seeking to fix the secondary event ticketing industry through blockchain technology. Sellers post their tickets on the PassageX marketplace and buyers can confirm the ticket’s validity before purchasing it. When the ticket is resold, the transaction and the owner of the ticket are recorded on the blockchain, and all fee splits between the artists and event producers are immediately paid. Linebrink shared that blockchain is the solution to eliminating fraud, reducing high fees, and providing fans and artists with transparency. Reiners of Duke Global Financial Markets Center is an expert on financial policy and regulatory matters and how financial technologies fit within the current frameworks. While blockchain may not be appropriate for all financial business practices and processes, he does see blockchain being used for clearing and settlement processing as well as for Know Your Customer processes. Reiners also spoke to the diverse international, national, and state regulatory landscape and sandboxes. He noted that while the United Kingdom launched the Financial Conduct Authority (FCA) to promote effective competition and get innovative ideas and products to the market, the U.S.’s fragmented structure with ten agencies involved in the regulation of Fintech makes it impossible to develop a similar sandbox. State sandboxes like the one in AZ have also emerged. 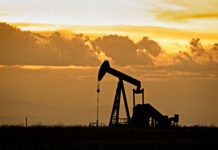 These will be beneficial for businesses that would be subject to the state’s regulations if they enter the state market; however, these state sandboxes are limited to the state and don’t so much address the national challenges. As we discussed the promise of blockchain technology, our presenters also recognized the real and perceived challenges of blockchain. Scalability and culture are two of the top challenges to resolve for further adoption and growth of the technology. But the perception that blockchain is replacing the workforce or that it is too complex are misnomers. The technology can change and improve the way we do our job. Each of our providers demonstrated that the design of their blockchain platforms makes the user experience better and easier, actually empowering the users of it. Learn more about Michael Best’s Blockchain, Digital Currencies, & Smart Contracts practice and events here.